“Go on inside I will join you” she replied without looking up from the car side mirror. David walked in briskly and took his seat as directed by the usher. He was still angry that his wife made him come late to church and worse still she is still standing out there re-tying the head gear that made them come so late. As the Sunday school was ongoing, he was fuming. “What is wrong with women anyway?” He thought, Shammah woke up before him, as far he could remember she was dressing up when he got into the bath and he still had to wait for her for twenty minutes after he finished dressing up. He doesn’t even know where to place this or the name to call this women phenomenon. Just as he was ruminating he saw a sister adjusting her skirt and touching up her face using the church slide windows, she couldn’t see people from outside but people could see her doing that. David became disturbed, realizing that his wife had done the same before entering the church. What is it with women and mirrors, they spend so much time in front of it before they go out and still can’t but check themselves over again in anything that looks like mirror on their way out. Why must they check their reflection in the mirror or something close to a mirror every now and then? He hardly opened his manual, he checked if his wife was listening and saw that she was doing better than him, he looked her over again, she was undoubtedly beautiful, so attractive, he can’t help but glance once a while in her direction whenever they are together and when he sees people admiring her he always feel proud that he is the husband of such a beautiful one. So if women know that they are beautiful why do they spend so much time in front of the mirror daily or why do they need to check a reflection of themselves in anything that looks like a mirror even if they have just been told how beautiful they look? “The word of God is our mirror and we must constantly behold it every now and then as often as we can because our lives depend on it” that was the Youth Pastor speaking, Pastor Folasade Williams. David sat straight now because it was discussion time and anyone could be called upon to contribute. Her voice was authoritative so everyone paid attention. “The more we behold the word of God which is our mirror the better we get; understanding God and his purposes for our lives. For instance, some men don’t ever get why women spend so much time in front of the mirror. Every woman loves to be beautiful and the more they stay in front of that mirror, removing, adding, adjusting whatever, is the confidence they need to get before they go out of the house. That confidence keeps them going, if a woman has done her job well in front of the mirror, she needn’t bother if anyone says anything contrary because she has checked her mirror and even at that some women still carry pocket mirrors in their bag, if anything goes contrary they check again to see if all is in order. So when we don’t behold our mirror daily the devil begin to feed us with lies, we begin to forget how real God is to us. The more you stay apart from the mirror the more you forget what God had done for you, what he told you about yourself and what he promised he is going to do for you. So next time you see any woman spending so much time in front of the mirror, let that remind you how much more you need to keep beholding the word of God and women should learn that lesson faster because the mirror is a woman’s friend, even my grandma at over 90 still has a mirror. 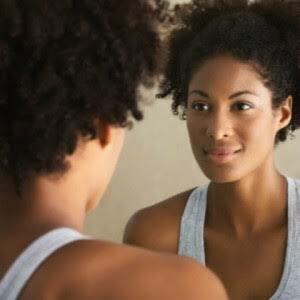 Don’t allow devils lies to take over your life, go back and keep beholding your mirror. When Pastor Williams finished speaking, the class bowed and prayed individually for she had unraveled a revelation, David kept singing songs of gratitude to God, it was him God came for, while he was yet thinking God brought him answers to his deep questions. Next Post IT’S NOT ABOUT WHERE YOU ARE COMING FROM!